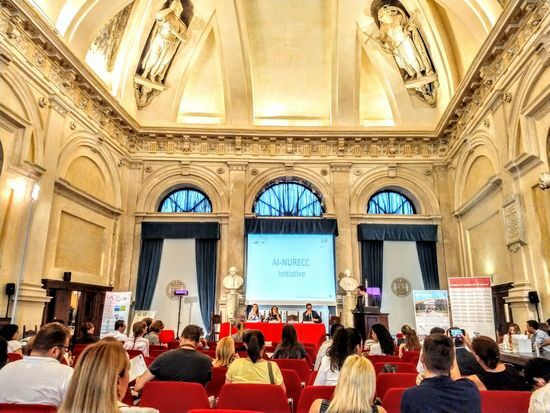 The Final Conference of the SUNBEAM (Structured University mobility between the Balkans and Europe for the Adriatic-Ionian Macroregion) project was held in Ancona, Italy on 20 September. In the same week, the city of Ancona also hosted the AI-NURECC Summer School on ‘Migration Issues in the Balkans’, organised by Uniadrion and Marche Polytechnic University, as part of the AI-NURECC Initiative. A total of 28 students attended the school, from all the EUSAIR countries (Albania, Bosnia-Herzegovina, Croatia, Greece, Italy, Montenegro, Serbia and Slovenia) and benefited from a scholarship covering fees, participation costs, accommodation and lodging. – Universities and forced migration: a moral obligation or a strategic step forward? – deliberation across deeply divided societies.